The Wait and See Participant's Guide includes further reflections on King David's wait for the throne and speaks to the reader during her time of wait. Following the teaching sessions in the companion DVD, Wendy Pope speaks with compassion and biblical insight to women who long for change in the future but don't want to neglect their life in the present. 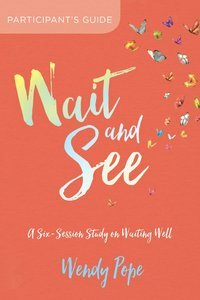 About "Wait and See: Finding Peace in God's Pauses and Plans (Participant's Guide)"